Delicious! 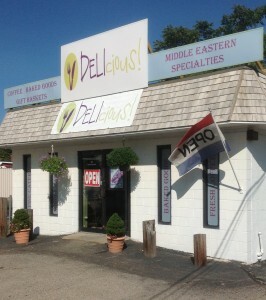 Deli, Prepared Foods and Catering - DELIcious! And at Farmer's Markets in Rhode Island! In the heart of Cranston, sits a gem. DELIcious! is a standout in lunches, prepared foods and catering. Offering a quick turn around for those seeking a great lunch during the work day, and a great place for a cup of coffee and a tasty bakery treat for those seeking a little respite from a busy day even up to the task of a large catering event such as a wedding…DELIcious! is all that for all people. Come visit us and you’ll keep coming back!